This post is a quick one. 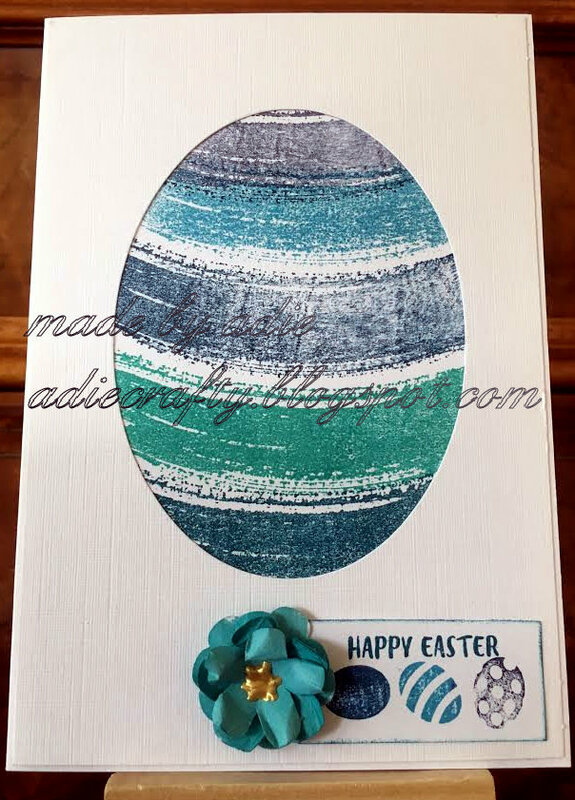 Made this Easter card using the Stampin Up "Work of Art" stamp set and the sentiment with the eggs came in the March Paper Pumpkin. I used a flower punch to make the little flower.